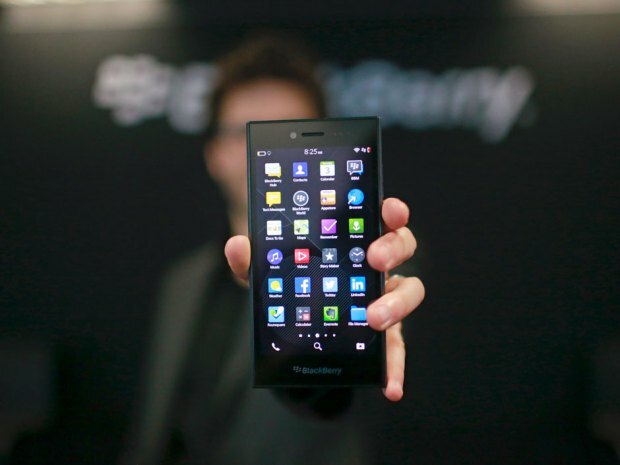 The Blackberry Leap smartphone is a departure from the most recent products, such as the Classic and Passport. It is a fully touchscreen model, similar to the Z10 and Z30. The formal ID number is the Z20 and it actually just arrived at the FCC seeking approval. What is this phone all about? Well, if you are still loyal to the Blackberry brand, its fairly exciting. It has a five inch display with 1280 x 720 HD resolution, 294 PPI, 8MP Rear camera, 16GB of expandable storage and has up-to 25 hrs of battery life according to the specs put out by BlackBerry. BlackBerry has priced the device at $275 USD and its going to be available in April or May. A hands on preview of the device has been released by Blackberry, giving us a sense of the form factor. I’m one of the biggest BlackBerry fans out there. I have owned 7 BlackBerry phones including the Z10 on launch day (Feb. 05, 2013), the Z30 on launch day (Oct. 15, 2013) and now I have a Passport. I loved the Z30 and I love the Passport but this leap just doesn’t do it for me. I know it’s a cheap phone and I hope it does well but that mono speaker grill on the back of the phone makes the whole device cheap looking. It will also muffle the sound when laid on its back, which is how the phone will be laid. Big oversight in my opinion. I am looking forward to the Blackberry Slider. i feel like this is the closest thing we get to a straight z10 replacement, i say replacement and not upgrade, as i understand it, the phone is basically spec’d the same as the z10, but it’s got bb os 10.3, which is huge for us tmobile customers that cant get the newest os on our z10’s, and its got a slightly bigger screen, but maintains the slab design which is crucial. the z30 with its curvy back just didnt do it for me. also, if i get a new version of an old phone, i would expect the price to be lower, this is a trade of to the specs being better, and i’m totally okay with that.